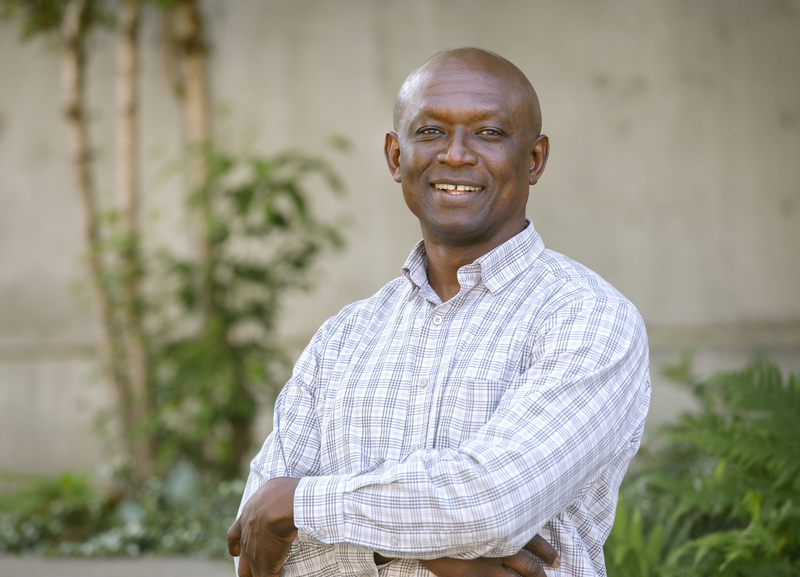 Kweku Wilson, Ph.D., Health Systems and Policy at the OHSU-PSU School of Public Health, grew up around hospitals and health care in Ghana, West Africa. One of seven children raised by a physician father and midwife mother, Wilson didn’t look favorably upon the health care system, however. His family lived near – and received leftover food from – a hospital, which, in a developing country, wasn’t a positive. His parents also worked a lot, which took them away from home. The irony isn’t lost on Wilson that on June 3, he will receive his doctorate degree in health systems and policy from the OHSU-PSU School of Public Health. “I guess it’s the ghost of my upbringing coming back to haunt me,” he says with a wink. With an undergraduate degree in social science under his belt, Wilson, the first of his siblings to attend college, arrived in the U.S. in 2000 to earn a master’s degree in economics and business administration from Oregon State University. There, Wilson found two loves: His wife, Diana, and an interest in health care. At Portland State University, he received a second master’s degree in public administration in health administration. But he was far from done. In 2008, he began his decade-long journey to earning his doctorate. Wilson is humble about the challenges he faced and sacrifices he made in pursuing his doctorate. Unable to afford the time or a plane ticket, he missed the funeral of his half-brother in Ghana. He waited nearly three years for the release of data he needed for his dissertation. At times, the work was arduous and lonely, and he questioned whether this was the right path. He is most proud of his patience in achieving a goal that at times seemed so far away. The research for his dissertation – in which he explored cost savings to patients and the health care system in using Oregon’s primary care home health care delivery model – coupled with his three years as a program analyst for the Oregon Health Authority demonstrates his dedication to working toward the common good and improving people’s lives. Wilson also thinks about returning to Ghana one day perhaps to pursue a role in politics, in shaping policy and leading reform. His mother flew from Ghana this week and will be in the audience at commencement when her son becomes Dr. Kweku Wilson, Ph.D., far surpassing that Ghanaian marker of success that’s followed him across the decades and around the world. Kweku Wilson now works for the Oregon Health Authority. Read more here.